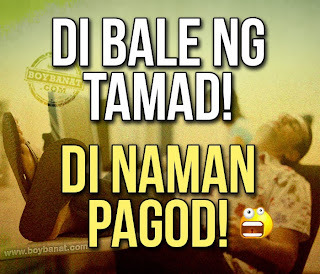 Banat ng Tamad is a library of Pinoy funny quotes and jokes about laziness and being sluggish. Lazy people tend not to take chances, but rather express themselves by making diverting excuses. Sometimes those excuses are use to crack jokes in movies and comedy series and instead of feeling mad, you'll find yourself smiling because you earned an idea to reason out whenever you don't feel like doing anything. Sorry, nung umulang kasi ng kasipagan.. 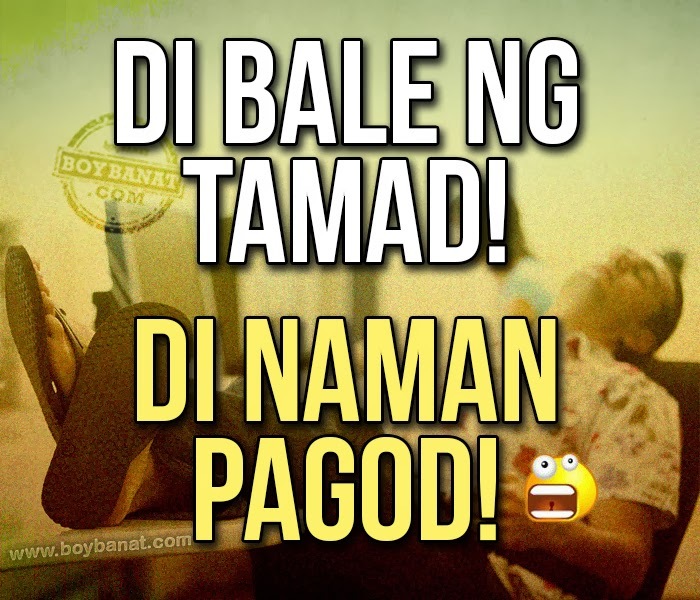 If you have your own Banat ng Tamad, feel free to share it with us. It's a great opportunity to have them posted here.